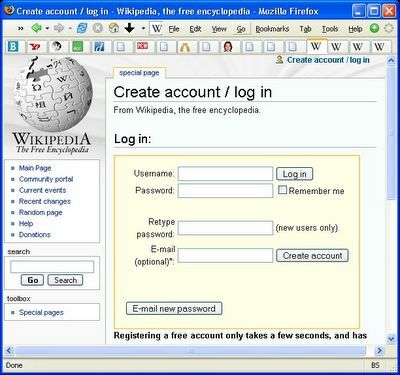 Clearly the programmers at Wikipedia have a clue about user-interface design. Check out their "Create account / log in" page, which solves the problem of what to do if the user does not yet have an account. 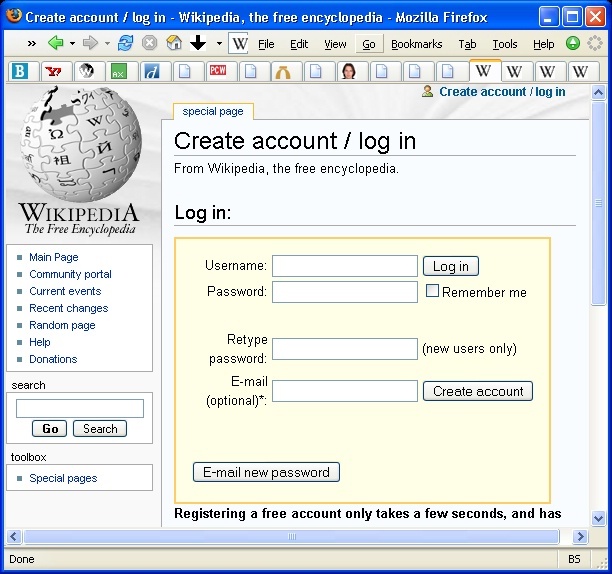 Traditionally web sites have had two different pages: Log In and Create Account, and if you went to the wrong page, you got an error. Wikipedia saves you some steps by combining the two activities into a single page, the way we should have tackled this problem in the first place. posted by Jonathan at 3/13/2005 11:37:00 a.m.